Construction Methods and Management, 8/e, is designed to guide construction engineers and managers in planning, estimating, and directing construction operations safely and effectively. 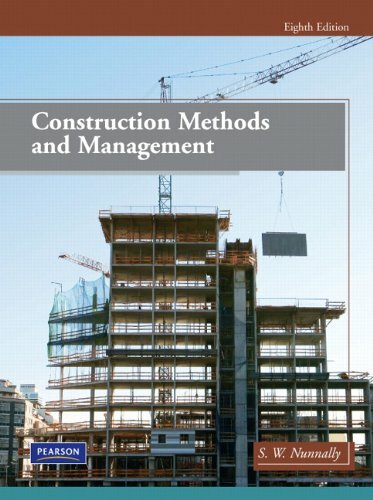 Comprehensive and up-to-date, the text integrates major construction management topics with an explanation of the methods of heavy/highway and building construction. It incorporates both customary U.S. units and metric (SI) units and is the only text to present concrete formwork design equations and procedures using both measurement systems. This edition features information on the latest developments in soil excavation, asphalt paving, and earthmoving equipment.